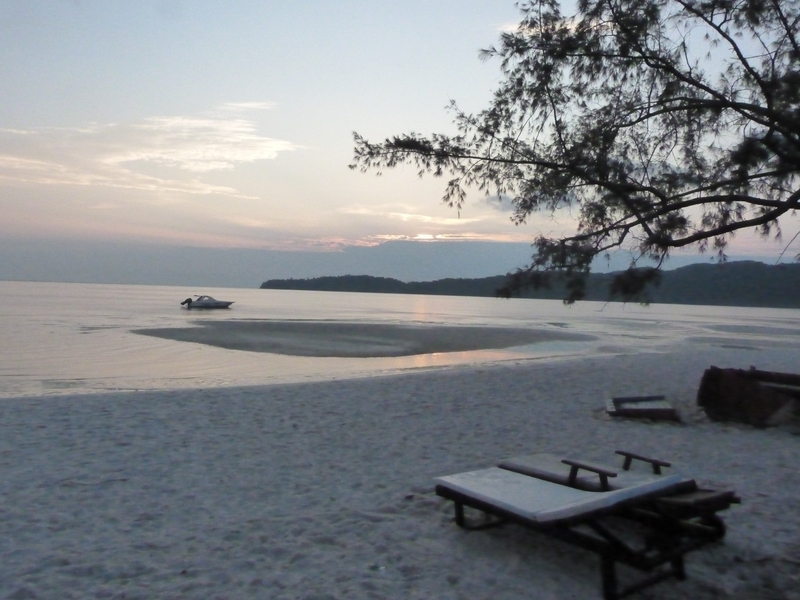 Koh Rong Samloem is an island about 25k from Serendipity Beach Pier. 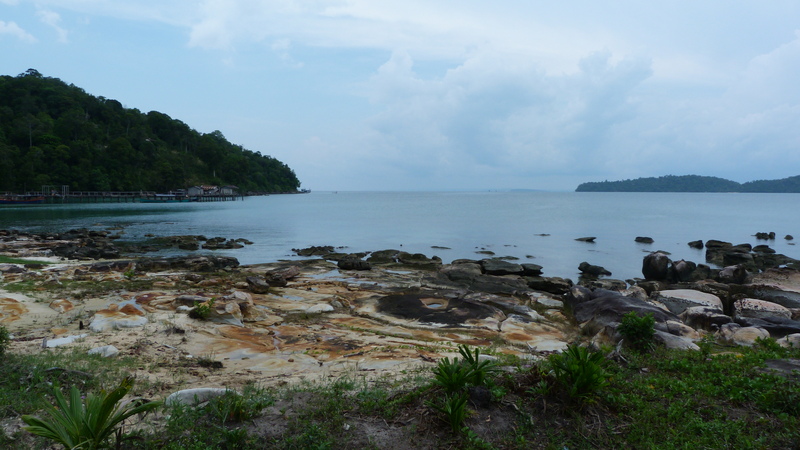 It is smaller and less developed than it’s sister Island, Koh Rong. After our disastrous night at The Fitness Resort we were really looking forward to getting away. We were staying at Sun Island Eco Resorts and they had organised a pick up for us to get the ferry. The boat left from Victory Pier and took 3 hours including a stop to go snorkeling or fishing. When we got onto the boat we were offered pastries and cake which was a nice touch. 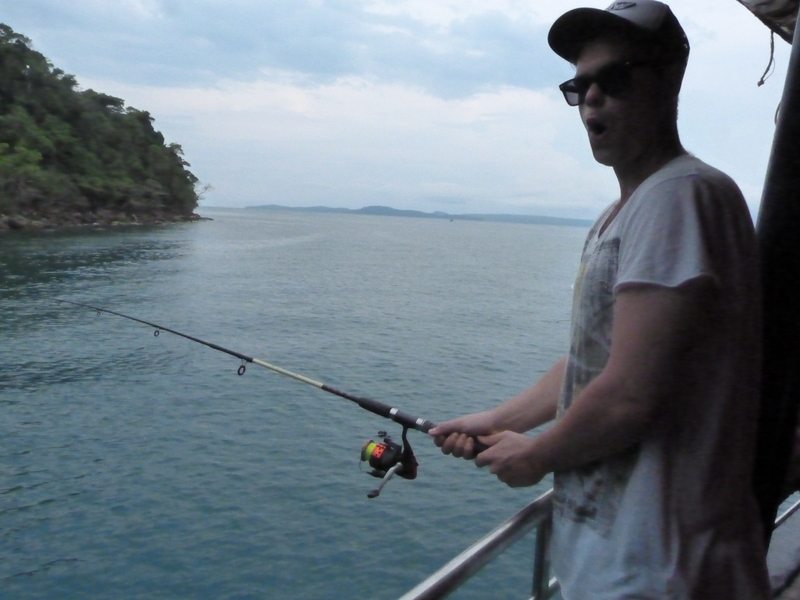 I had a go at fishing and actually sort of caught a fish! I managed to get quite a big red snapper all the way up out of the water but it wasn’t hooked on properly and it fell off just after it cleared the water. I got further than Dan though so I was pleased! 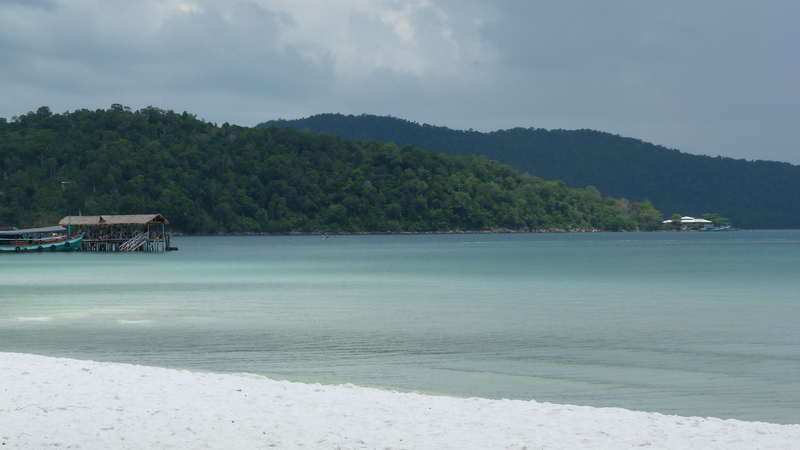 Koh Rong Samloem is absolutely beautiful. There are only a handful of small resorts on the island so once the boat trip leaves at 3 the island is really peaceful. All the hotels are just tents/bungalows/tree houses. There are no big buildings at all. We were shown to our tent which had a private bathroom hut next door with a toilet and shower. The tent itself is under a shelter. There is a sleeping area with a mattress and a lamp and then a porch with a table, chairs, a small mirror and a light bulb attached to a battery. 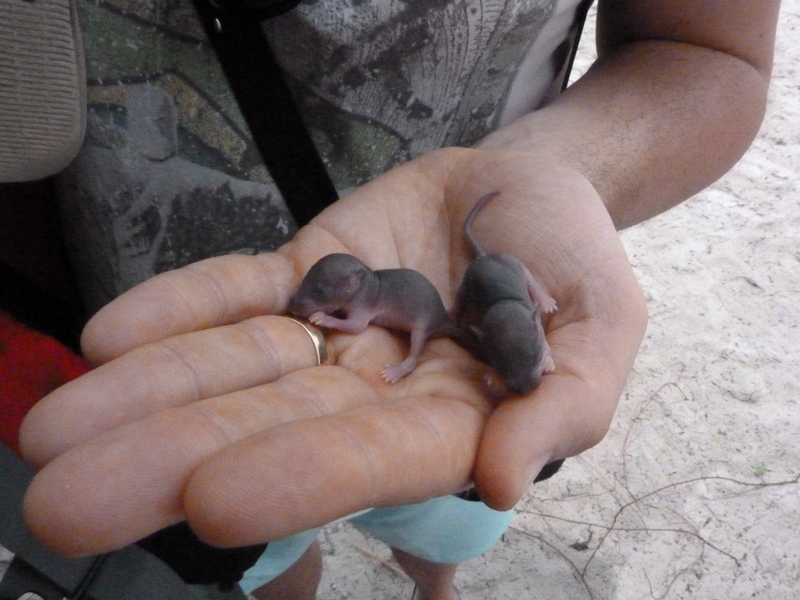 As we were sorting out our things a little Indian girl from the next tent came up to us holding two tiny baby mice. She told us she’d found them and we had to look after them! She instructed that she were to get them some milk from the restaurant. Luckily we managed to convince her that she should look after them as she had found them. I didn’t really want two baby mice on my conscience! We spent a very peaceful afternoon relaxing on the beach and then had a little wander through the jungle to the other side of the island to see the sunset. The bar/restaurant at Sun Island Eco Resorts was good. The fish was amazing. Any fillet was 400g and was fresh that day. They had no real means of storing anything so everything was really fresh. The stay on the island should have been absolute bliss but unfortunately it coincided with the full moon. 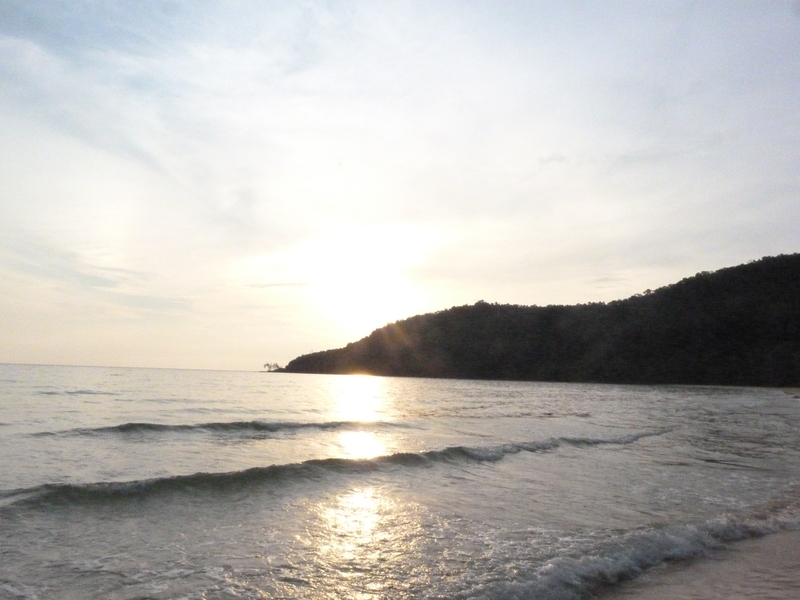 At around 5pm we could hear music coming from further down the beach. This music got progressively louder throughout the evening. At 10pm a boat arrived from the mainland full of people ready to party all night. The boat left again at 7.15am and the music continued until 8am! Not quite the peaceful night we were expecting! I think the resorts on the island should maybe warn guests when they book if there will be a full moon party that night because I don’t think anyone on that island got any sleep! We ‘woke up’ (we hadn’t really been to sleep) at 6am and ventured out and watched the sun rise. 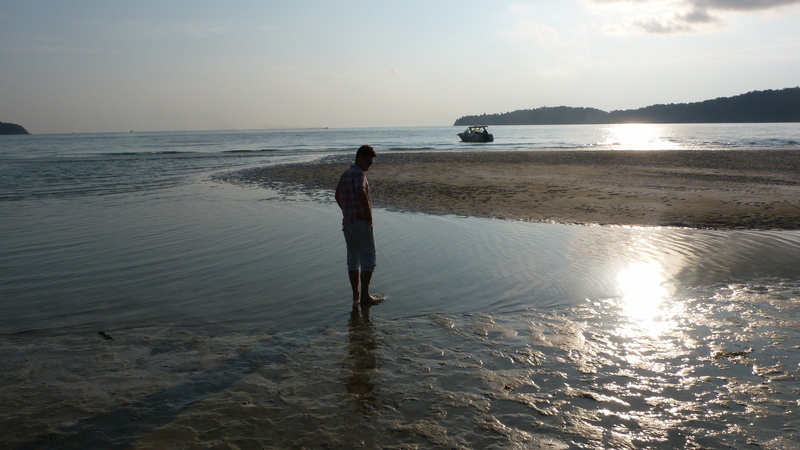 The beach was deserted….but we could hear loud music! GRRR! 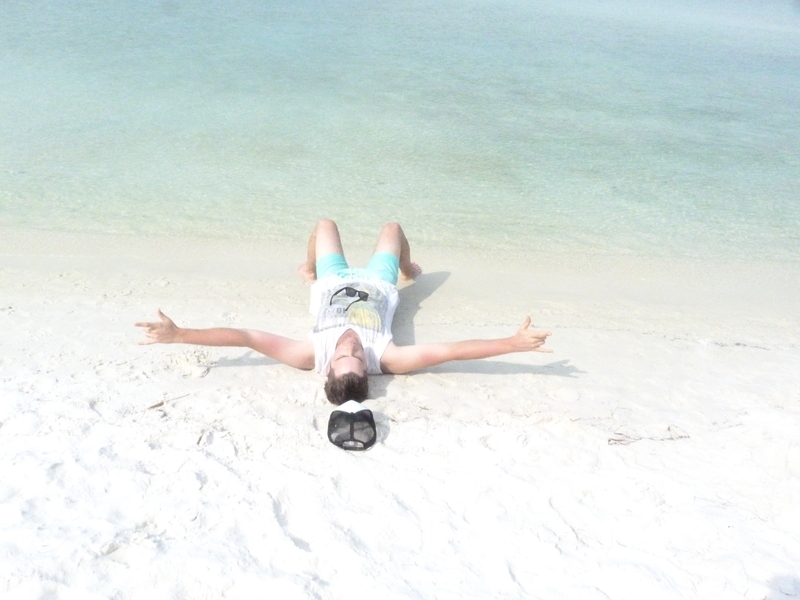 The sand was so white! Further down the beach we found some rock pools. Sun Island Eco Resorts were really flexible. We hadn’t realised how many hotels wouldn’t be able to take card and didn’t have enough cash. They just let us keep a tab whilst we were there and when we got back to the main land we got cash out and met one of the guys from Sun Island to pay him. 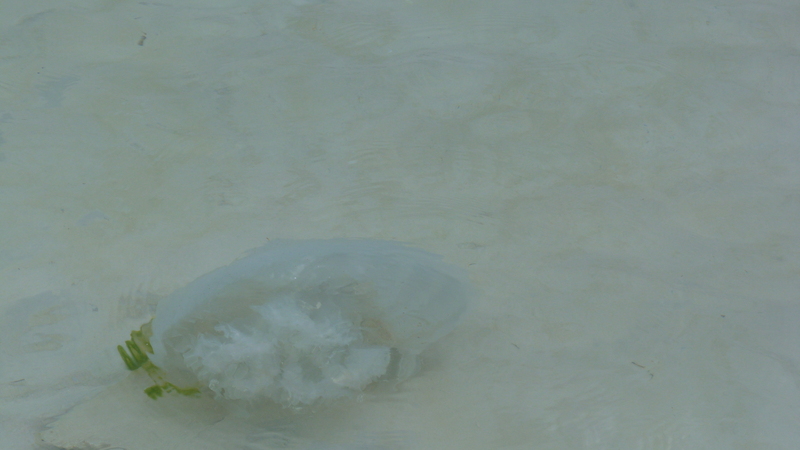 I’m always a bit nervous about the sea but it was so warm and lovely that even these little guys didn’t put me off too much. 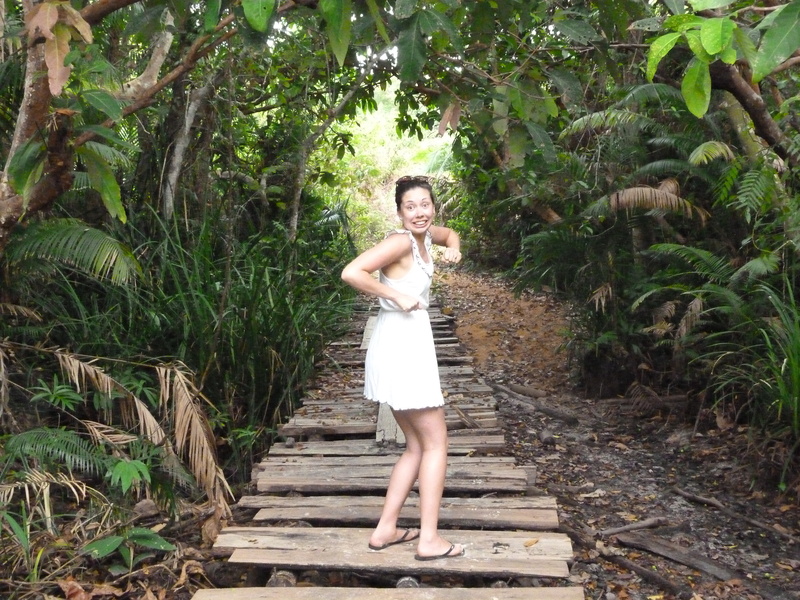 Next Post Phnom Penh part 2!